Sarah Hurley 365 (Formerly Sarah Hurley Challenges): Documented December - Day Fourteen - Holiday Style! Documented December - Day Fourteen - Holiday Style! Christmas Style! Do you dress up for Christmas? Have a favourite Christmas Jumper? or just wear your PJ's all day? Document it! After looking on Pinterest for inspiration I found myself fascinated by hidden tabs. Which I think are perfect for the smaller layout because I have two boys pictures to show and it gives you more depth to your page aswell. I created this layout first. I used a Tim Holtz border die to craete the scallop. The sentiment is a Hello Kitty bigz die. I stumbled across these Tim Holtz label letters in Hobby craft a few months back, I can see me buying more! 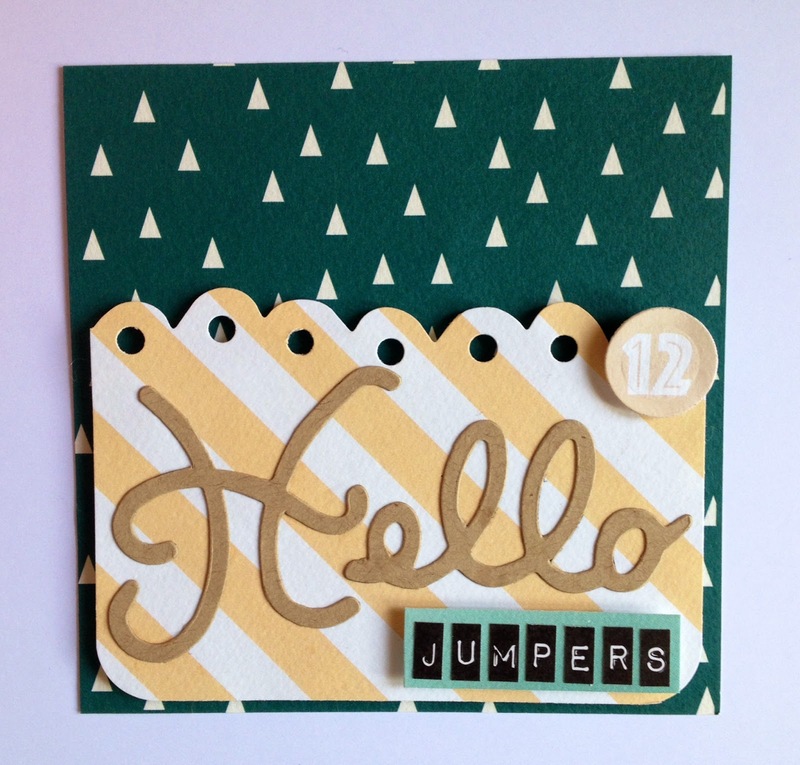 The circle date was cut from the snip and cut sheet which is part of Sarah's Documented December kit. The tage I made slot just behind the stripe panel which was propped up with foam squares. Here are the hidden tabs. The paper are from Sarah's older 'A Few Of My Favourite Things' kit which I thought was perfect for the snap shop of my boys. The tag die is from Sizzix and the Bakers twine was added for contrast. Again I used the label letters. 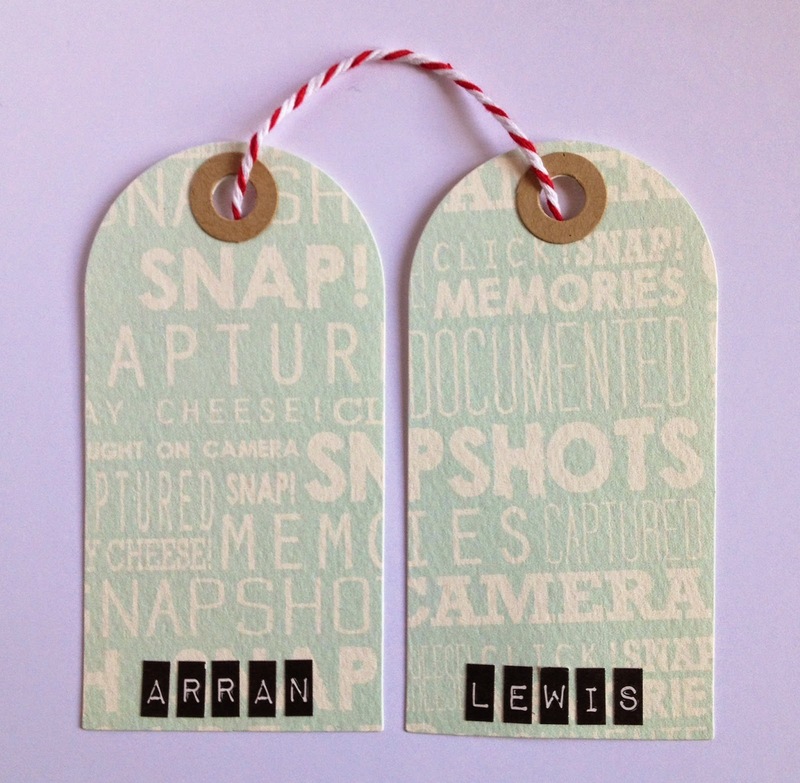 I finished the tags off with a picture of the boys on each of the tags. Here's the finished layout....peek a boo! Ria will be posting tomorrow with another fab theme, hope you come by soon.